Our clients range from those with small offices to large office blocks, and those with small industrial units to major warehouse installations. Alert Alarms can take care of everything. We will visit you in your home and provide expert advice on the right security system. With 30 years of experience installing and maintaining alarm systems for both your home and your business we understand just how important your security need is. Your home and or your business are probably very important elements in your life and as such it's essential you used a trusted name when it comes to protecting your Home and Business premises. We have over 3000 clients across Worcestershire, Warwickshire and the West Midlands. We both install and maintain these clients alarm systems helping keep what's precious to our clients safe. You can put your trust in us to help protect your home or business. With an excellent reputation for delivering the very best security systems and for providing exceptional customer care you can put your trust in us. We have been awarded the NSI Gold Accredited Business award which is the highest accolade that can be awarded to an alarm company. Our work is regularly checked and repeatedly found be be of the highest quality. We are an ISO 9001, 2008 accredited business and have grown in leaps and bounds through recommendation and referral. We pride ourselves on delivering excellent quality and have the highest of standards when it comes to our work. We hope through our website you find all the information you need, but if you do have any queries or questions don't hesitate to get in touch, we'd be happy to hear from you. In the event of a burglary or if you are locked out we can arrange for one of our locksmiths to attend your property and replace any locks. 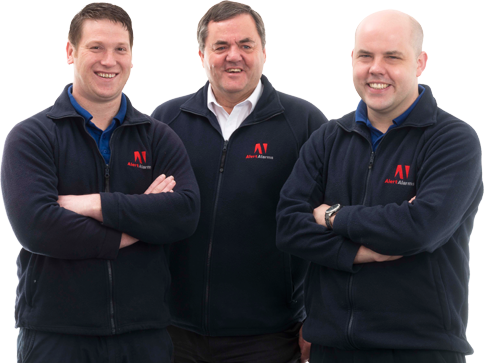 All of our master locksmiths operate to the same high standards of service and care that have become the hallmark of Alert Alarms. We can open up locks where the keys are missing and fit new locks into any type of door or window. 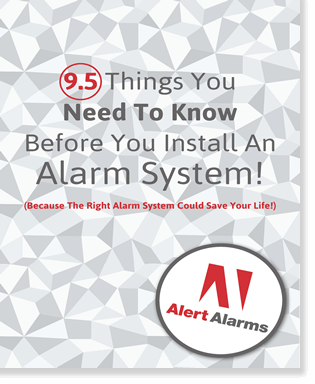 Talk to us at Alert Alarms, we are here to help.